OW Lee Monterra Swing - Great ideas for enjoying your patio space. 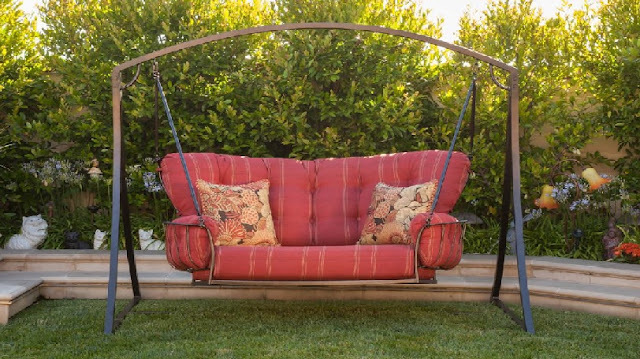 New to the Monterra collection is this luxurious swing. It can adapt to fit your needs by hanging from your porch or the free standing frame. There is also an optional canopy to protect you from the sun. We have several cushion options in stock and others can be special ordered. Come see us and we can help customize your outdoor area! !